No matter which year we live in, the cycle of new resolutions tend to look the same every year. But, the fact is that New Year resolutions are hard to keep. According to certain reports, it’s found that 80% of the people fail to keep their resolutions after the first 6 weeks. Most of us want our life’s to change which mainly involves resolutions like reducing weight, exercising more, eating more salads, getting more of your bucket-list done, pay off your debt, be more grateful to life & people surrounding you etc. But this can be a little difficult to follow in the long run. It’s just the first week of the year, but many of our resolutions might have already slipped off. But these days, as technology is growing so fast, don’t let your resolutions fall aside. 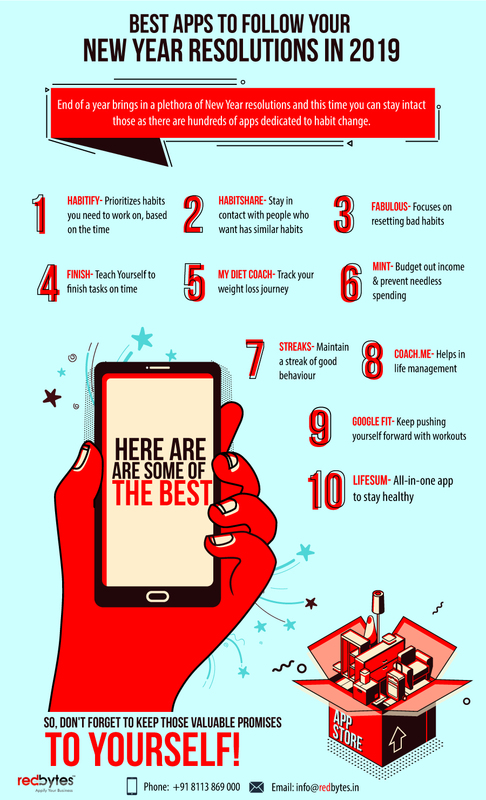 Here are the top apps that can help you follow your New Year Resolutions.